I love finding inspiration in unlikely places, like on the side of a cookie box. 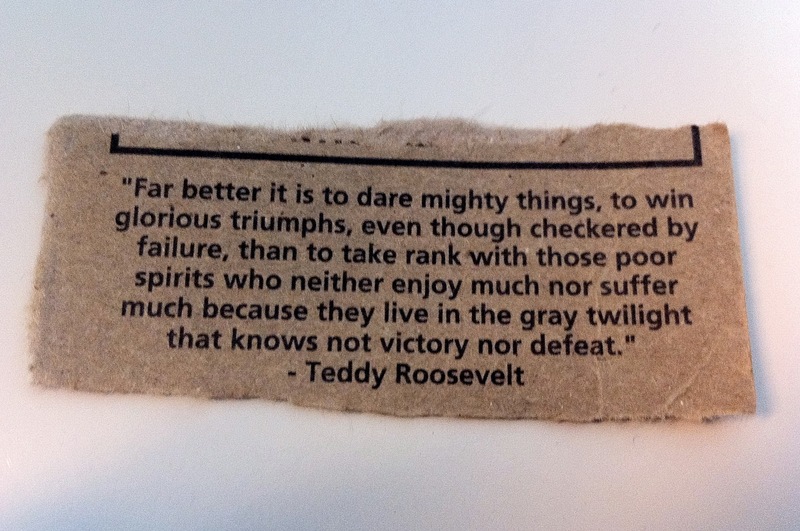 I posted last week about a Teddy Roosevelt quote I learned from my high school track coach. The quote is printed on a box of Bart’s cookies I found at Whole Foods. I bought the cookies because of the claim on the front of the box that they’re “The Best Chocolate Chip Cookies in the World.” Them’s fighting words—and then I spotted the real fighting words on the side. Good cookies, but I still believe homemade ones are best.